Dr. Wozniak was raised in South Bend, IN. 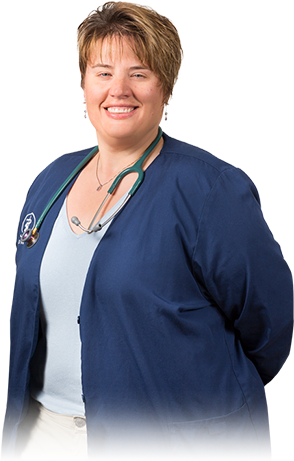 She attended Purdue University for her undergraduate studies and graduated from Purdue's School of Veterinary Medicine in 1994. Since then she has worked in small animal practices in both Illinois and Indiana, emphasizing the importance of good preventative care. She enjoys spending time with her family, reading and studying gemology in her off time. Currently she is owned by her Puggle, Griffen, and enjoys taking him on walks and fishing trips.